Born in the Stour Valley in Surrey to a devout family, John Winthrop the elder spent the first part of his adulthood at Groton Manor which he, his father, and his brother-in-law Thomas Fones had purchased from Winthrop’s uncle in 1610. In the early 1620s, Winthrop pursued a legal career in London, corresponding regularly with his third wife, Margaret Tyndal (1591–1647), back in Groton. Concerned about what he saw as the decline of godly religion in the region, Winthrop began to look further afield — first considering a move to Ireland, and then later looking towards the Americas. In 1630, aged 42, Winthrop boarded the Arbella and sailed to New England, having been elected to serve as Governor of the Massachusets Bay Company the previous year. He played a crucial role in establishing and refining the civil and religious governance of the colony, acting either as Governor or Deputy Governor until his death. John Winthrop was married four times. His first marriage to Mary Forth in 1605 had precipitated his going down early from Trinity College, Cambridge, and her death in 1615 left Winthrop with three sons — including John Winthrop the younger — and a daughter. Winthrop married secondly Thomasine Clopton, who died a year later in childbirth. His third marriage, to Margaret Tyndal, spanned almost thirty years. Following Margaret’s death in 1647, Winthrop married Martha Rainsborough in 1648, before himself dying on 26 March 1649. John Winthrop the younger joined his father in Massachusetts in 1631, after having been educated at Trinity College, Dublin, and embarking upon the Duke of Buckingham’s effort to relieve the Protestants of La Rochelle in 1627. He accumulated experience by working as one of the assistants in the Massachusetts Bay Company before becoming governor of the lands granted to Lord Saye and Sele and Lord Brooke, and establishing a fort at Saybrook on the Connecticut River. A keen alchemist, Winthrop the younger dedicated himself to understanding the New World’s mineral potential, establishing ironworks at Lynn and Braintree, and planning a utopian plantation on the Pequot River (later renamed New London) which could support a mine to extract raw materials. Throughout his life he maintained a correspondence network within and beyond Europe, while also returning to England and meeting such influential thinkers and intelligencers as Comenius and Samuel Hartlib. 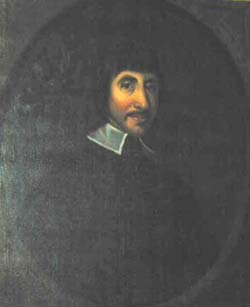 The first colonial member of the Royal Society, Winthrop the younger presented papers in 1662 on New England maize and on the production of tar and pitch, and continued to send back natural specimens to England (including milkweed pods). 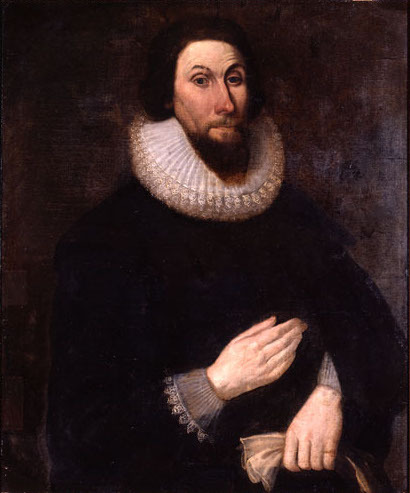 John Winthrop the younger also developed medical skills, offering medication either in New London or further afield by parcel and letter. Following an life of public service, and the death of his second wife of thirty-seven years, Elizabeth Reade, in 1672, John Winthrop the younger died on 5 April 1676. Metadata for this inventory of correspondence was collated for the Cultures of Knowlege project by EMLO Digital Fellow Alex Hitchman. It is based on the correspondence published by the Massachusetts Historical Society, Boston, where scholars will find further information concerning the Winthrop Family Papers, the Winthrop Family Papers Digital Edition, and the publications of the Society. The Winthrop Papers, ed. Malcolm Freiburg and Francis Bremer, 6 vols (Boston: Masachusetts Historical Society: 1929–). Volumes 1–4 available online at: http://www.masshist.org/publications/winthrop/index.php. ‘The Winthrop Papers’, Collections of the Massachusetts Historical Society (Boston: Massachusetts Historical Society, 1863–1892). Francis J. Bremer, John Winthrop: America’s Forgotten Founding Father (Oxford: Oxford University Press, 2005). Walter W. Woodward, Prospero’s America: John Winthrop, Jr., Alchemy and the Creation of New England Culture, 1606–1676 (Chapel Hill: University of North Carolina Press, 2010).